The statewide protests in Gujarat over the attack on Dalit youths by Shiv Sena, have shaken political parties. The BJP is worried as the protests in Gujarat and Maharashtra, have the potential to wreck its chances in poll-bound Uttar Pradesh. 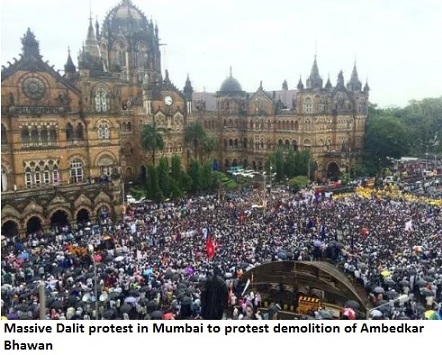 While Dalits staged protests in towns across Gujarat, the huge gathering in Maharashtra to protest the demolition of Ambedkar Bhawan in Mumbai, has also sent a clear warning to BJP. It was the BMC that had razed the historic building. More than 1 lakh persons gathered on the streets of Mumbai. Unlike UP, Maharashtra has never elected a Dalit party led government but the huge presence of Dalits in India's commercial capital, shook the BJP. 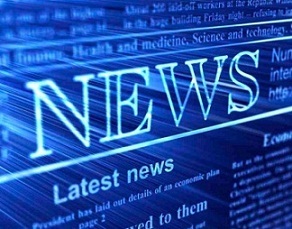 Chief Minister Devendra Fadnavis was forced to issue a strong statement. The fire of these protests have reached Nagpur too. The RSS that has an uneasy relationship with Dalits, Backwards and Tribals among Hindus, is yet to react. Meanwhile, leading Dalit figures have accused media of ignoring the huge gatherings of Dalits. The Mumbai protest was not reported and TV channels also didn't report it. "It is clear that this is a Brahmin media, not a people's media", write a Bahujan activist. The BJP is worried as UP elections would be crucial. It was this state which gave party the seats in Lok Sabha, which helped Narendra Modi form the government. If BJP fails to do well in UP, it will be disaster for Amit Shah.